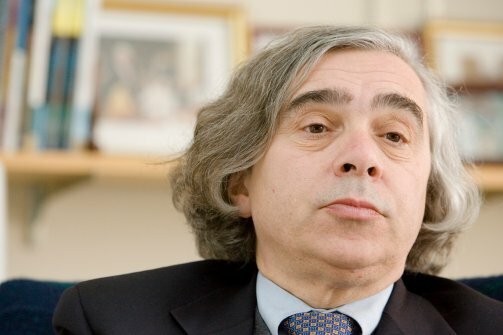 Monday morning, President Obama will announce MIT nuclear physicist Ernest Moniz as his choice for Energy Secretary. A supporter of research into renewable energy, Moniz is also a strong advocate for natural gas and fracking. His nomination is expected to draw fierce criticism from the environmental left. Moniz calls natural gas a “bridge fuel” until renewable energy alternatives become viable. This is right. In the history of civilization, every energy source is a “bridge fuel” until another alternative emerges through innovation. Moniz’s appointment is yet another sign that the Obama Administration plans to approve the Keystone Pipeline. Last week, the State Department released a draft assessment of the pipeline, finding that its construction and operation would have little impact on the climate. Several environmental groups had already been circulating petitions opposing his nomination. Obama’s formal announcement on Monday will likely set off a new wave of criticism.